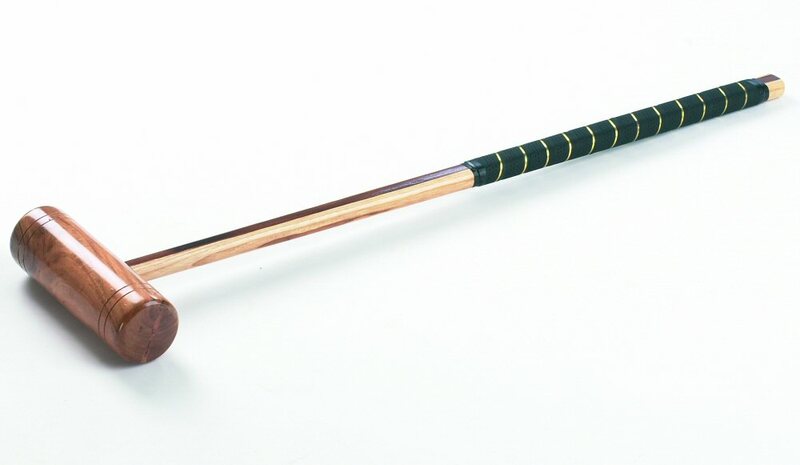 The Longworth Mallet has a oval spliced hardwood shaft, ensuring great strength. The full-size mallet measures 37.5 inches (95cm) in length and comes with a leather bound grip. The mallet head has a rounded off edge to prevent chipping during use. Ideal as an extra mallet or to replace a mallet in an existing set.